This tutorial will show you how to set up MediaStreamer on your Samsung Smart TV. 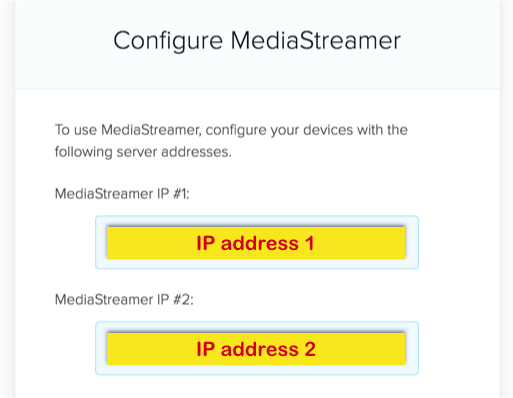 MediaStreamer can enhance your streaming experience online but does not provide the encryption benefits of a VPN. Note: This tutorial was written using a Samsung 5500 Series Smart TV. 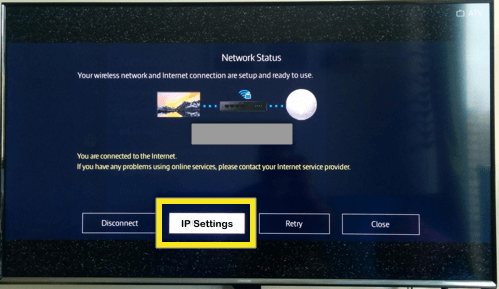 The steps to changing the DNS should be similar on most Samsung Smart TVs. Disclaimer: Samsung Smart TVs are region-locked to your place of purchase. Even when using MediaStreamer, some apps will remain region-locked. To deal with this issue, you will have to change the region of your Smart TV, which is beyond the scope of this article. 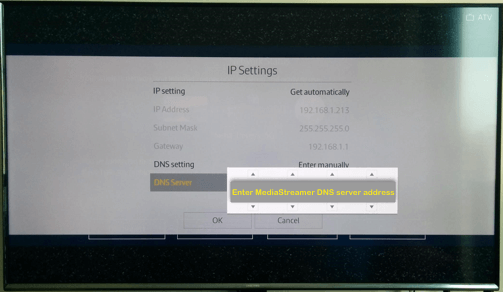 After registering your DDNS hostname, you’re ready to configure your Samsung Smart TV with ExpressVPN’s MediaStreamer server address. Click the MENU button on your remote. 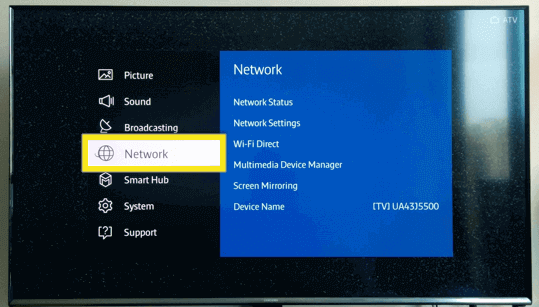 On the TV’s Menu, navigate to Network and click ENTER ( ) on the remote. 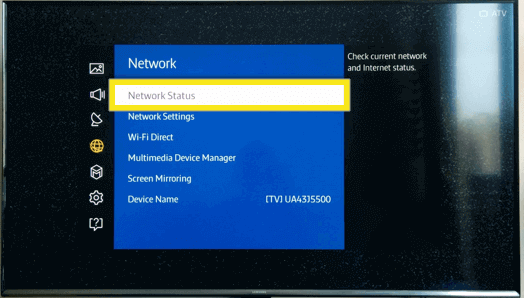 Under Network, go to Network Status and click ENTER ( ) on the remote. Wait for the TV to check your internet connection. Once completed, the TV should list a few options on the screen. Navigate to IP Settings and click ENTER ( ) on the remote. 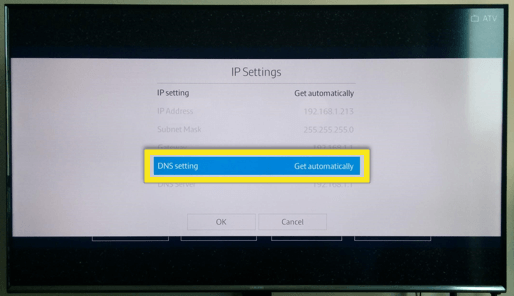 In the IP Settings menu, navigate to DNS setting and click ENTER ( ) on the remote. Enter the MediaStreamer server addresses you found above. Once you’ve entered the new DNS address, click ENTER ( ) on the remote to save the settings. Next, navigate to OK and click ENTER ( ) on the remote. Wait while the TV checks your internet connection again. 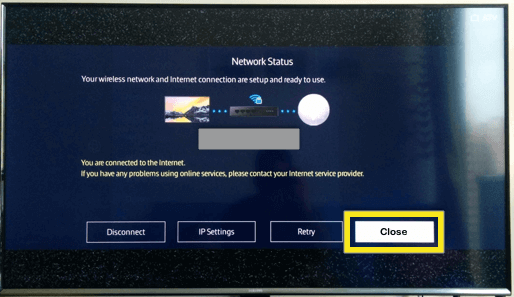 If you entered the DNS server address incorrectly, the TV will notify you that there is no internet connection. If so, repeat Step 3 above. 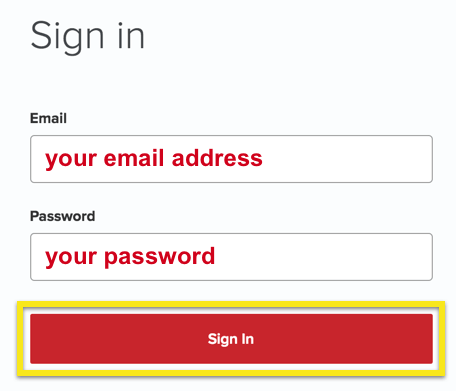 If you entered the correct DNS server address, you should see the following message: You are connected to the Internet. Navigate to Close and click ENTER ( ) on the remote. To restore your original DNS settings, repeat Step 3 above but select Get automatically in the DNS settings.